Cines was the first major Italian film studio. Filoteo Alberini and Dante Santoni founded the studio in 1905 as ‘Alberini & Santoni’, then changed it in 1906 to the public corporation ‘Società italiana Cines’. Cines focused on the historical film genre, with the epic Quo vadis? (1913) as one of the highlights, but also pioneered with the Spaghetti Western. The studio stopped to exist in 1956. Italian postcard. Photo: Cines. Publicity still for the early epic Quo vadis? (Enrico Guazzoni, 1913), adapted from Henryk Sienkiewicz's classic novel and the biggest film hit of 1913 worldwide. Caption: The death of the gladiator. This image cites Jean-Léon Gérôme's famous painting Pollice verso (Thumbs down, 1872) and was often used in the publicity for the film. In the back the emperor Nero (Carlo Cattaneo) makes the sign of thumbs down, sign for the conqueror to kill his adversary. Flanking Nero are left Tigellinus (Cesare Moltroni) and right Petronius (Gustavo Serena). Left of the imperial box the Vestal Virgins are seated. German postcard by BKWI, no. 34. Photo: Cines. Publicity still for the Italian silent epic Marcantonio e Cleopatra/Anthony and Cleopatra (Enrico Guazzoni, 1913). Here Cleopatra (Gianna Terribili Gonzales) is enjoying herself. Italian postcard by IPA CT Duplex. 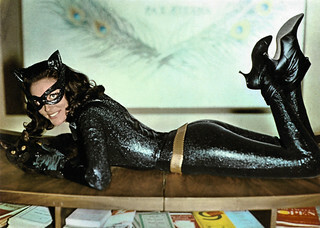 Photo: Film Cines, no. 3279. Ruggero Barni as Jean Guery in the silent film Madame Tallien (Mario Caserini, Enrico Guazzoni, 1916) based on the play by Victorien Sardou. The caption goes: The last cart. Guery is saved. Italian postcard by IPA CT Duplex. Photo: Film Cines. 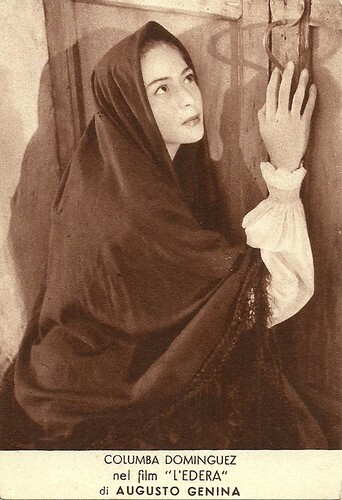 Publicity still for the silent film Malombra (Carmine Gallone, 1917), adapted from the novel by Antonio Fogazzaro, and starring Amleto Novelli and Lyda Borelli. Caption: I don't know nothing, I remember nothing. I never lived, never apart from now. I knew only you would come, this moment. I have the frenzy to enjoy it. Italian postcard by G.B. Falci, Milano, no. 889. Photo: Cines-Pittaluga, Rome. Lucia (Dria Paola) and Enrico (Elio Steiner) hide from their friends in order to be able to kiss each other, in the first Italian sound film La canzone dell’amore (1930) by Gennaro Righelli. Italian postcard, no. 98. Photo: Cines-Pittaluga. Publicity still for La Wally (Guido Brignone 1932), starring Germana Paolieri. In 1905 the first major Italian film studio was founded by Filoteo Alberini and Dante Santoni as ‘Alberoni & Santoni’, then changed in 1906 to the public corporation ‘Società italiana Cines’. Aberini had opened Rome's first cinema, the Cinema Moderno on 20 January 1904, while in 1899 he had opened a film theatre in Florence, Italy. He also had patented an invention for filming, printing and developing, as early as 1895. In 1911, he created the Autostereoscopio (stereoscopic device), followed by the Panoramica Alberini, a primitive wide-screen technique. In 1905 Alberini & Santoni produced La presa di Roma/The Taking of Rome, a prototype for the Italian historical film shot in a studio and using trained actors. 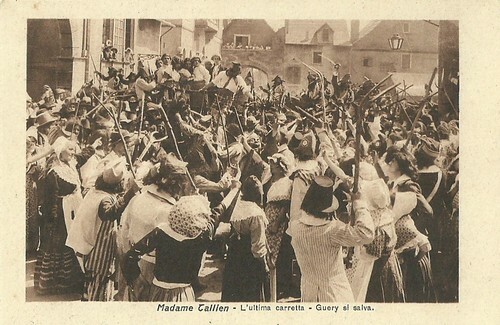 In 1906 the management of Cines lured the French filmmaker Gaston Velle away from Pathé and he produced a series of féeries. 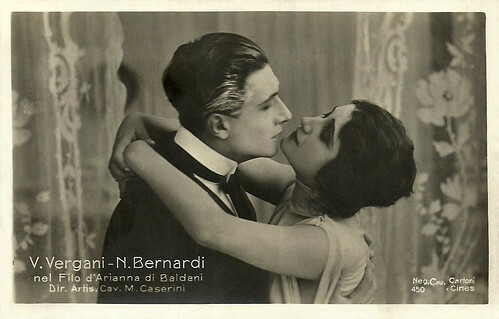 In 1907 former actor Mario Caserini started as director. From then on, Cines started to focus on the genre of historical films in which the company excelled. Around 1910 a pupil of Caserini, the former painter and art director Enrico Guazzoni, started to discern himself as the director of historical productions such as Brutus (1910), Agrippina (1910), and La sposa del Nilo/The Bride of the Nile (1910) with Bruto Castellani and Fernanda Negri Pouget. In the same period (1909-1910), Cines was confronted with the crisis in the world film industry caused by overproduction. Count Alberto Fassini was ordered to liquidate the company, but reorganised it instead. He attracted several aristocrats in the board and provided an enormous increase of capital. From then on the company could guarantee a steady production. The studio became equipped with modern utilities and was populated by a fixed cast, including Amleto Novelli, Maria Caserini-Gasperini, Gianna Terribili Gonzales, and crew with long-term contracts, which contemporarily worked on different productions. A script office was installed for the regular output of scenarios. Cines was the first Italian company to produce its own raw film stock, which stimulated the development of the company. Italian postcard. Photo: Cines. Publicity still for the popular early epic Quo vadis? 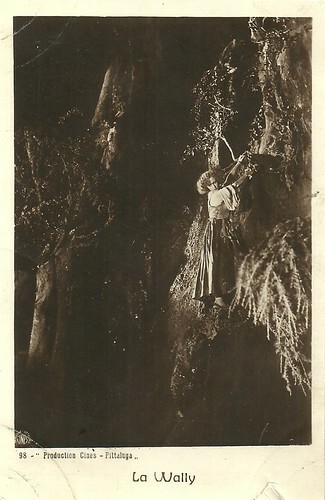 (Enrico Guazzoni, 1913), adapted from Henryk Sienkiewicz's classic novel. 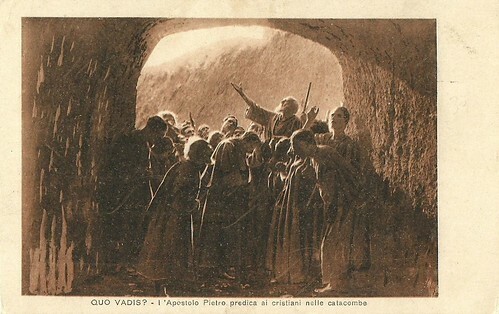 Caption: The apostle Peter preaching to the Christians in the catacombs. German postcard by BKWI, no. 35. Photo: Cines. Publicity still for the Italian silent epic Marcantonio e Cleopatra (Enrico Guazzoni, 1913). 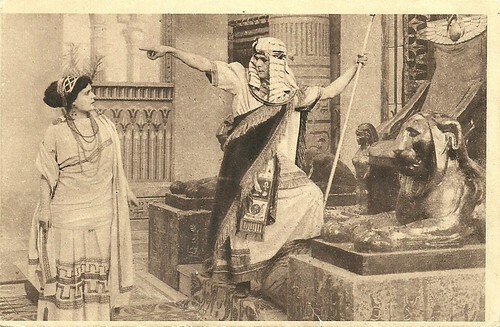 Here Marc Anthony (Amleto Novelli), dressed as Egyptian pharao, rejects his wife Octavia (Elsa Lenard). 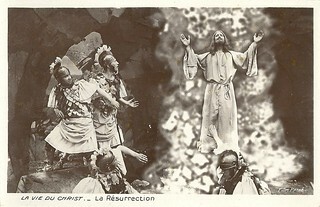 French postcard by Films Primior, Paris / J. Meyer, Paris. Photo: Cines. 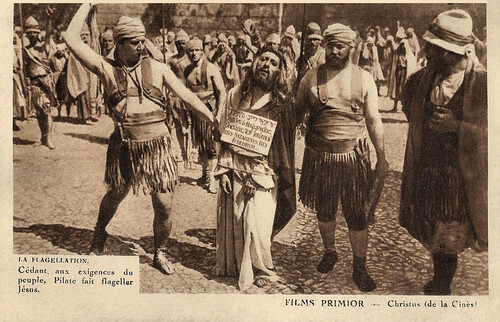 Publicity still for Christus/Christ (Giulio Antamoro and, uncredited, Enrico Guazzoni, 1916). Caption: The Flagellation. Bowing to the demands of the people, Pilate flogged Jesus. Apart from the famous Nativity and early childhood episodes, the film presents the adult Christ (Alberto Pasquali) going back to Egypt and 'testing', his skills as an orator and miracle-maker on the natives under the shadow of their Sphinx-shaped pyramids. Liberties are also taken with the chronology of Jesus' ministry – with the Devil's temptation in the desert, for example, taking place before His Baptism. The character of Judas (Augusto Mastripietri) is naturally given his space during the Passion segments but, what makes his scenes interesting, is that the figure of a horned devil thrice appears to him as a hallucination – when he betrays Jesus to the High Priests, when he repents of his deed and when he hangs himself in desperation. Christus also depicts the events following the Passion i.e. the Resurrection, the Doubting Thomas episode and the Ascension. Italian postcard by IPA CT Duplex. Photo: Film Cines. Publicity still for Malombra (Carmine Gallone, 1917), adapted from the novel by Antonio Fogazzaro, and starring Lyda Borelli and Amleto Novelli. Caption: Caption: ...at that moment she felt her waist held by the powerful hands of Silla, who lifted her back up the stairs. Italian postcard, no. 450. Photo: Cines. Vera Vergani and Nerio Bernardi in the Italian silent film Il filo d'Arianna (Mario Caserini, 1921). Italian postcard by G.B. Falci, Milano. Photo: Cines/UCI. 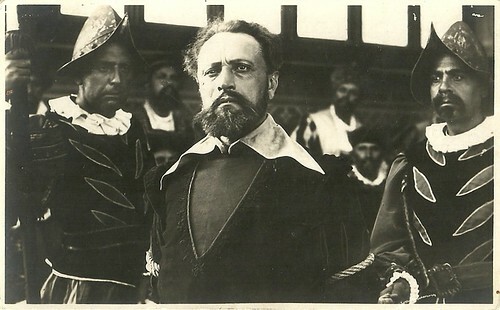 Publicity still for the period piece Triboulet (Febo Mari, 1923), with Achille Vitti as king Francis I of France, Umberto Zanuccoli in the title role and Elena Sangro as Giletta. 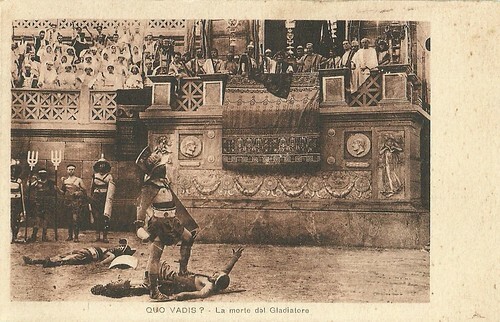 The historical production was brought to a climax with the epic Quo vadis?, produced in 1912 but released in 1913. The large three-dimensional sets, the reviving of the ‘grandeur’ of Roman antiquity, the many extras and the spectacular scenes such as the burning of Rome and the Roman arena, thrilled audiences all over the world. Quo vadis? (Enrico Guazzoni, 1913), starring Amleto Novelli and Gustavo Serena, not only put Cines among the first of the world’s film companies, but also contributed much to the acceptance of cinema as an art form and form of ‘respectable’ entertainment. Quo Vadis?’ success caused the production of two other big budget epics set in Antique times, Marcantonio e Cleopatra/Anthony and Cleopatra (Enrico Guazzoni, 1913) with Gianna Terribili-Gonzales and Amleto Novelli, and Cajus Julius Caesar/Julius Caesar (Enrico Guazzoni, 1914) with Amleto Novelli and Bruto Castellani. 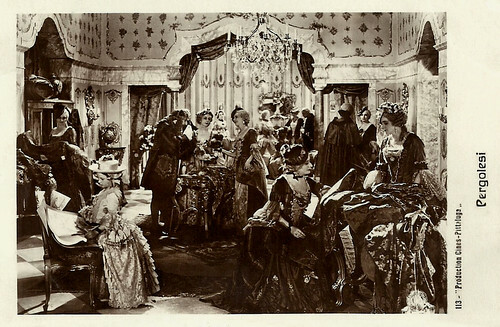 Next to historical films, Cines was well-known for its steady output of comedies, both farces with Tontolini (Ferdinando Guillaume) and Kri Kri (Raymond Frau) as more boulevardier-like comedies as Una tragedia al cinematografo/A Tragedy at the Cinematograph (Enrico Guazzoni, 1913), in which Pina Menichelli had one of her first roles. Cines had a steady output of modern dramas, in which future diva Francesca Bertini excelled after her roles in historical films at Film d’Arte Italiana and before going over to Celio, a daughter-company of Cines. Cines produced many non-fiction films. These were moreover travelogues, glorifying the beauties of natural scenery, mainly in Italy itself. Cines even produced the first Italian Westerns, preceding the later Spaghetti Westerns of the 1960s and 1970s. After the outbreak of the First World War, Cines survived the fall caused by the war by releasing films with stars as Lyda Borelli and by employing a new generation of outstanding directors such as Nino Oxilia, Giulio Antamoro, Carmine Gallone, Augusto Genina and Amleto Palermi. The decline was unstoppable however. In 1919, Cines merged with the Unione Cinematografica Italiana and stopped activity in 1923. Production was retaken however in the years 1930-1934, when Cines made the first Italian sound film, La canzone dell’amore/The Song of Love (Gennaro Righelli, 1930), but a fire destroyed the studio. Cines was resurrected in 1941-1944 and again in 1949-1956. 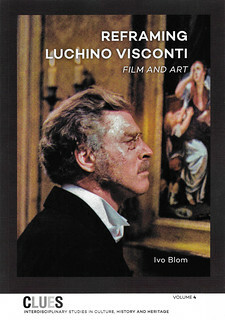 Most early Cines films are to be found nowadays in the film archives of London, Amsterdam and Bologna. Italian postcard. Photo: Produzione Cines-Pittaluga. 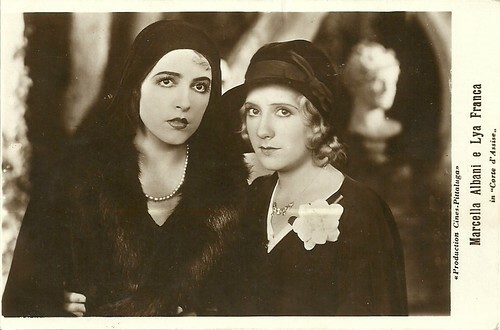 Publicity still of Marcella Albani and Lya Franca in the courtcase melodrama Corte d'Assise/Before the Jury (Guido Brignone, 1931). Italian postcard, even if with French written captions, no. 26. Photo: Cines-Pittaluga. 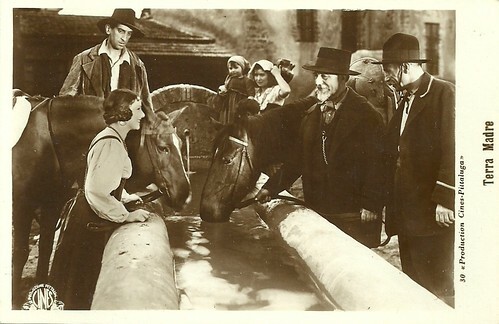 Publicity still for the early Italian sound film L'ultima avventura/The Last Adventure (Mario Camerini, 1932) with Diomira Jacobini and Armando Falconi. Italian postcard, no. 30. Photo: Produzione Cines-Pittaluga. Leda Gloria had the female lead in the rural drama Terra madre/Earth mother (1931) by Alessandro Blasetti. Italian postcard by G.B. Falci, Milano, no. 40. Photo: Cines-Pittaluga. After an attempted suicide, Lucia (Dria Paola) and Enrico (Elio Steiner) make up towards the end of La canzone dell’amore/The song of love (Gennaro Righelli, 1930). The cityscape of Rome in the background. Italian postcard by G.B. Falci, Milano, no. 60. Photo: Cines-Pittaluga. Publicity still for La Wally (Guido Brignone, 1932), starring Germana Paolieri as Wally. Italian postcard by G.B. Falci, Milano, no. 91. Photo: Cines-Pattulaga. 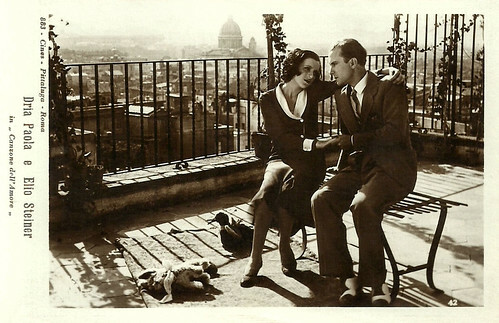 Publicity still for Vele ammainate/Lowered Sails (Anton Giulio Bragaglia, 1931) with Dria Paola. Italian postcard by G.B. Falci, Milano, no. 113. Photo: Cines-Pattulaga. The wealth of the upperclass in Pergolesi (Guido Brignone, 1932), starring Dria Paola, Elio Steiner and Livio Pavanelli. This was the debut of costume designer Gino Sensani. Columba Dominguez. Italian postcard by Ed. Mondadori. Photo: Cines / ENIC / AGAR. 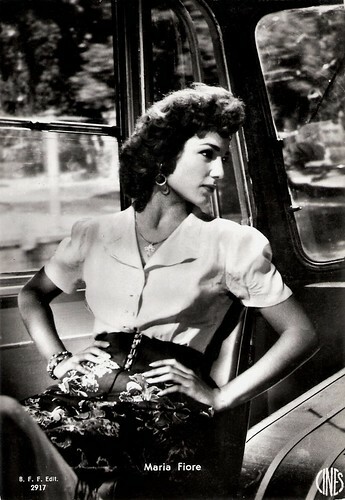 Publicity still for L'edera/Devotion (Augusto Genina, 1950). Maria Fiore. Italian postcard by B.F.F. Edit., Firenze, no 2917. Photo: Cines. Publicity still for Tempi nostri - Zibaldone n. 2/A Slice of Life (Alessandro Blasetti, Paul Paviot, 1954). 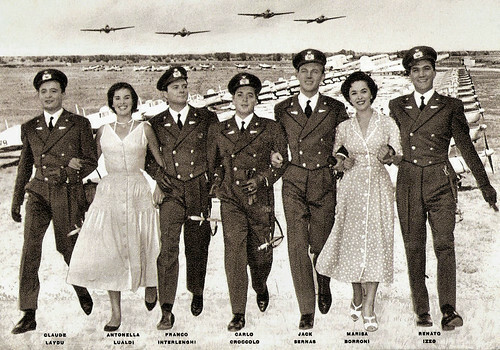 Claude Laydu, Antonella Lualdi, Franco Interlenghi, Jacques Sernas and others. Italian postcard by La Rotografica Romana. Photo: Cines / ENIC. Publicity still for Altair (Leonardo De Mitri, 1956).